Great white sharks are known for their hunting skills, but the only thing this one is interested in catching is the perfect wave! 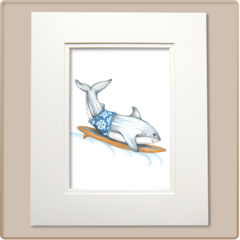 Hang ten with this decorative great white shark art print. Cowabunga!